India is a country of diverse cultural and natural occurences.Different parts of the country have different terrain and geographical structures.The Northeast is covered in mountains.Mayswaram in Cherrapunji hold the record for being the wettest place on earth.The northern part is covered by the mighty Himalayas,the largest and the highest mountain ranges in the world.These Himalayan ranges are the source of many perenial rivers that flow through the country. Falling from the heights, water of this rivers carry enough potential energy to generate electricity. Sometimes when it rains heavily the plains are flooded and when there aren't enough rains ,the valley suffers drought like conditions .Both these conditions are not favourable.The idea to tap the free flow of these rivers,to tackle both floods and droughts were quickly taken up. Dams now,are the most important source of irrigation,flood control mechanism and that of electricity generation.Dams are the heart of any Hydro electric projects. Till date some key points on the paths of these rivers are already tapped for many projects,but most still remain to be used.Among the ones already used ,there are some with large capacity while some could cater only small needs. Here i shall try to rank them according to their installed capacity. 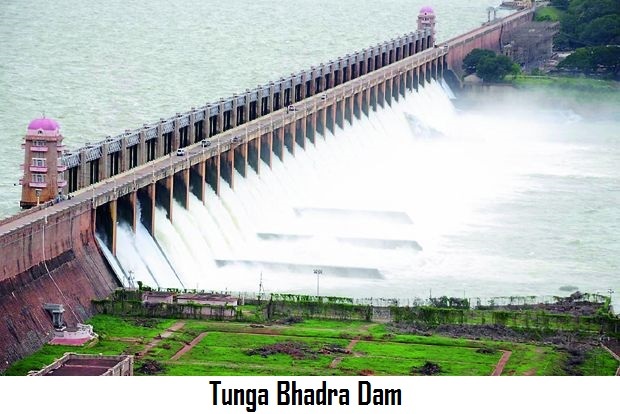 9)Indira Sagar Dam ,Madhya Pradesh. 8)Krishna Raja Sagar Dam ,Karnataka. -Located at Idukki in Kerela,this dam was opened in 1976.The dam was made under the Idukki hydro electric project along with two other dams at iddukki and kulamavu with Canadian aid.The 132 m tall concrete dam has a lenght of 650m and has the total holding volume of 17,00,000 cu.m The dam along with the dam at iddukki and kulavu forms a single largest reservoir of 60 sq km surface area. 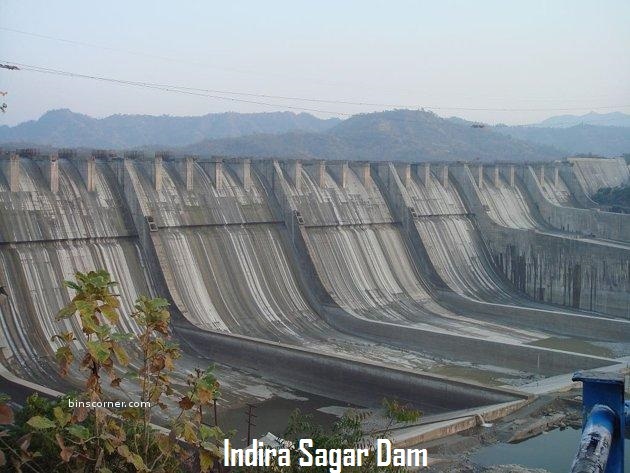 The Indirasagar Dam is a multipurpose project dam located at Narmadanagar, Mundi in the Khandwa district of Madhya Pradesh in India. The foundation stone of the project was laid by late Smt Indira Gandhi, former Prime Minister of India on 23 October 1984. 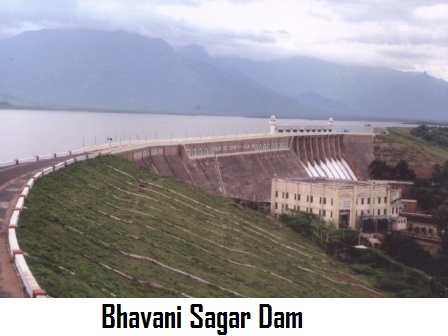 The construction of main dam started in 1992. The dam is a 92 m high and 653 m long concrete gravity dam with the storing capacity of 12,200,000,000 m3 in total. 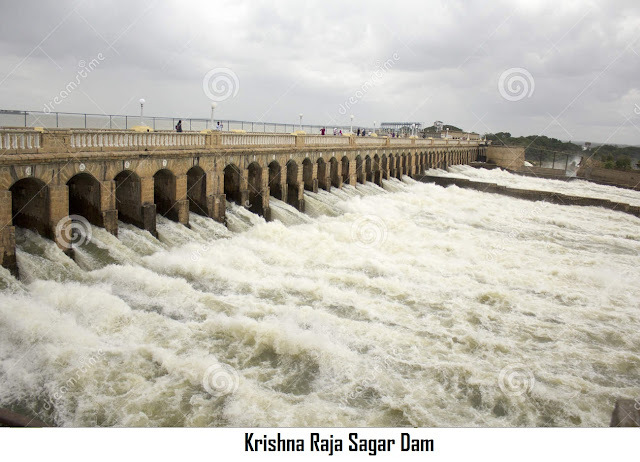 This dam located in Mandya,in karnataka was built across river Kaveri in 1924.The 125ft tall and 3.5 km long dam is the main source of water across the districts of mysore.The dam has a reservoir with a total holding volume of 1.38753 billion cubic metre. 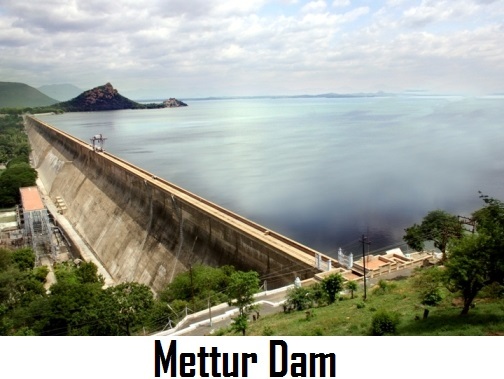 The Mettur Dam is one of the largest dams in India. Built in 1934, in a gorge, where the River Kaveri caters to provide irrigation facilities to parts of Salem, the length of Erode, Namakkal, Karur, Tiruchirappali and Thanjavur district for 271,000 acres of farm land. The dam is 120 ft tall and 1,700 metres long and has a total capacity of 93.4 billion cubic feet . 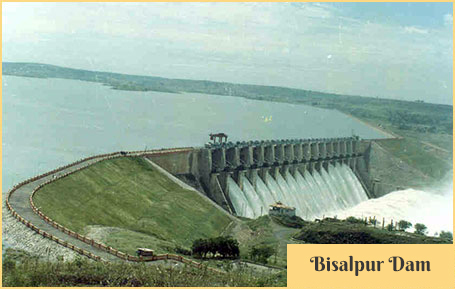 The Bisalpur dam was constructed in the 1990s by the Rajasthan state government. The project was co-financed by the Asian Development Bank (ADB) and the Japan International Cooperation Agency (JICA). 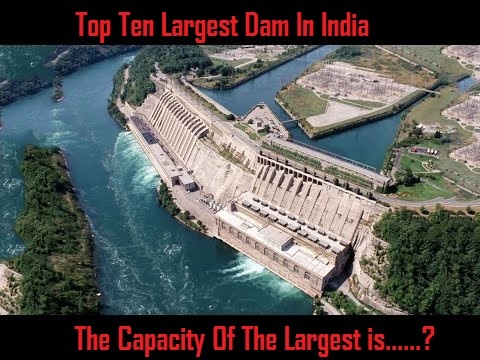 .The dam is a 130ft high and 574 metre long structure with a total holding capacity of 1,100,000,000 m3 .The total surface area of its reservoir is 218.36 km2 . 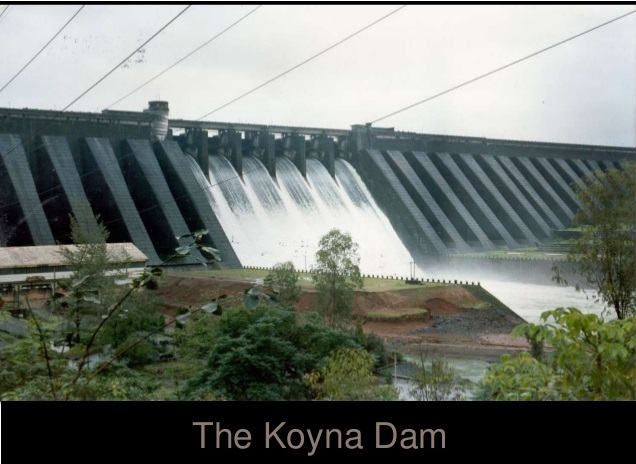 Constructed on Koyna River, the Koyna Dam is one of the largest dams in Maharashtra, India. This rubble-concrete dam rises to a height of 103.2 m (339 ft) and has a Length of 807.2 m (2,648 ft) .The total holding capacity of the dam is 2,797,400,000 m3 and has a surface area of 891.78 sq km. 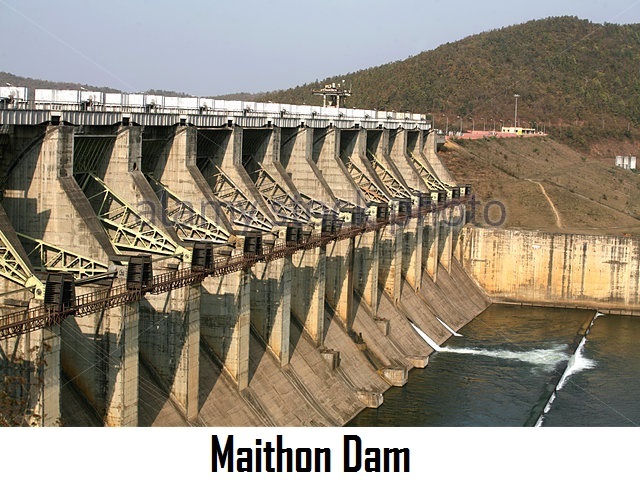 Constructed on the Barakar River in Maithon,Jharkhand ,the dam has a total height of 165 ft (50 m) and is 4,789 m long.The dam was specially designed for flood control.The total surface area is of 65 sq km . 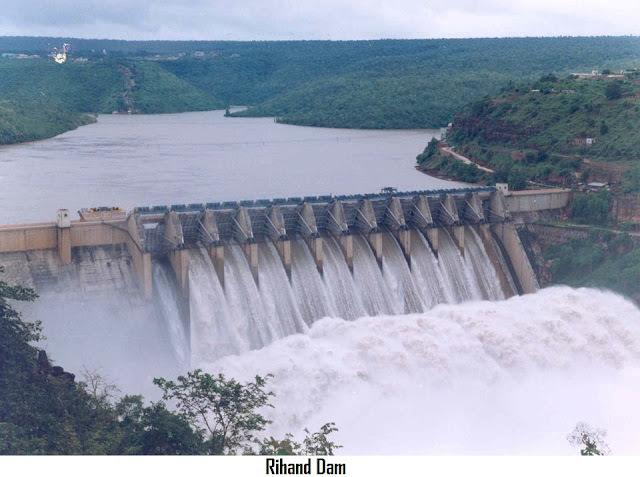 Rihand Dam also known by the name Govind Ballabh Pant Sagar, is a concrete gravity dam located at Pipri in Sonbhadra District in Uttar Pradesh, India. 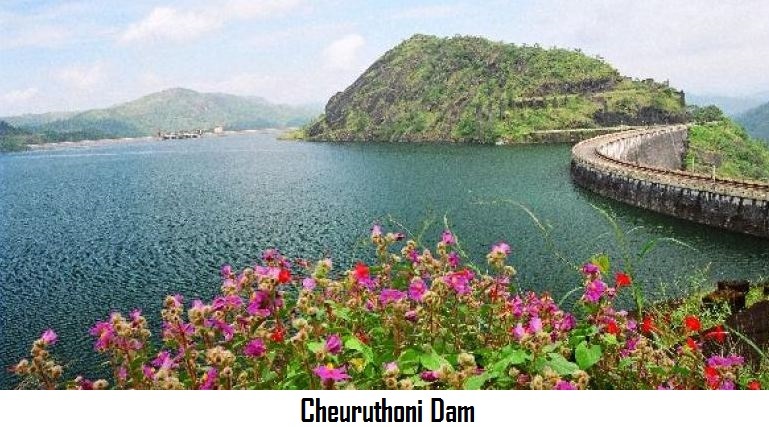 Constructed on the Rihand River which is the tributary of the Son River ,the dam has a height of 91.44 m and a length of 934.21m. Constructed during period 1954-62,the dam comprises 61 independent blocks and ground joints. The total capacity of the dam is 10.6 billion cubic metres. electricity generation, flood control, etc. The main architect of the dam was Dr Thirumala Iyengar, an engineer from Madras.The dam has a maximum height of 49.50 m and extends for 2,449 m .The reservoir capacity is of 101 tmcft or 1 billion cubic ft.
Bhavanisagar Dam located in Erode district of Tamil Nadu,is constructed on the Bhavani river.It is one of the worlds largest Earthen Dam. The dam is 8 km long and 40 m high. The dam has a capacity of 0.93 billion cubic metre.